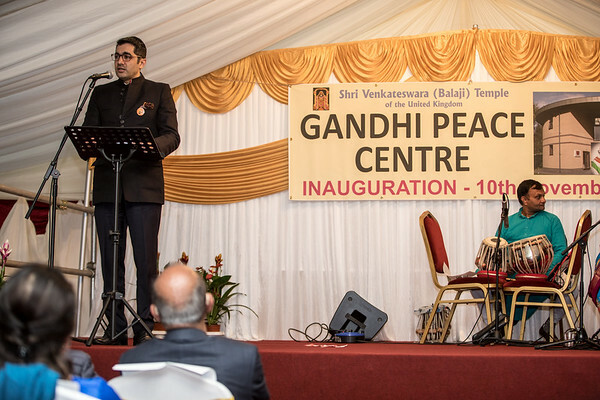 Grand opening of Gandhi Peace Centre at Venkateshwara Balaji Temple. 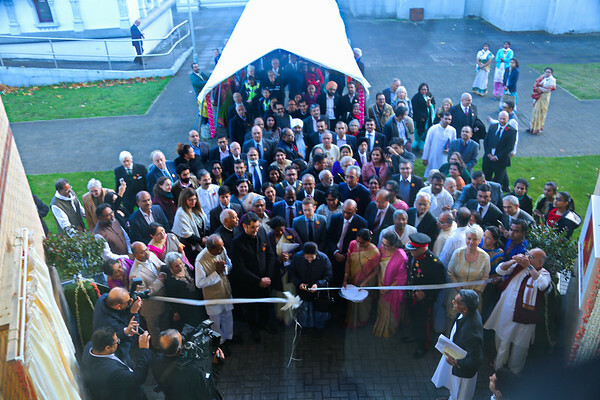 First ever Gandhi Peace Centre in the United Kingdom opened on November 10th , 2018. 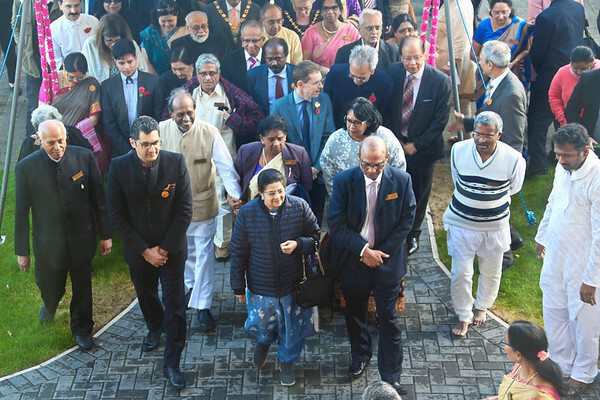 The timing of its opening could not have been more opportune as the two–year long celebrations to mark the 150th Birth Anniversary of Mahatma Gandhi are underway. 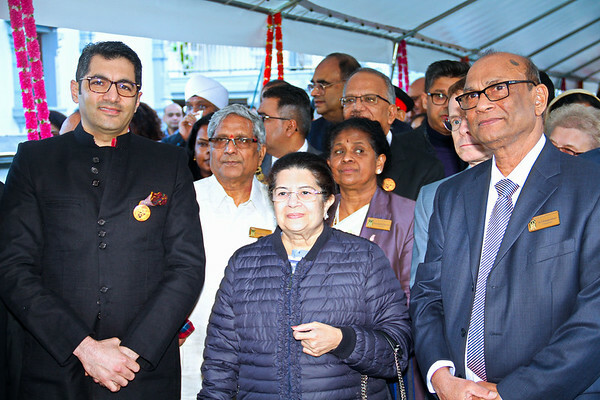 The centre which is situated in the premises of Shri Venkateswara Balaji Temple in Tividale, was inaugurated by Mrs Rajashree Birla, Director Aditya Birla Group, who supported the establishment of the centre. 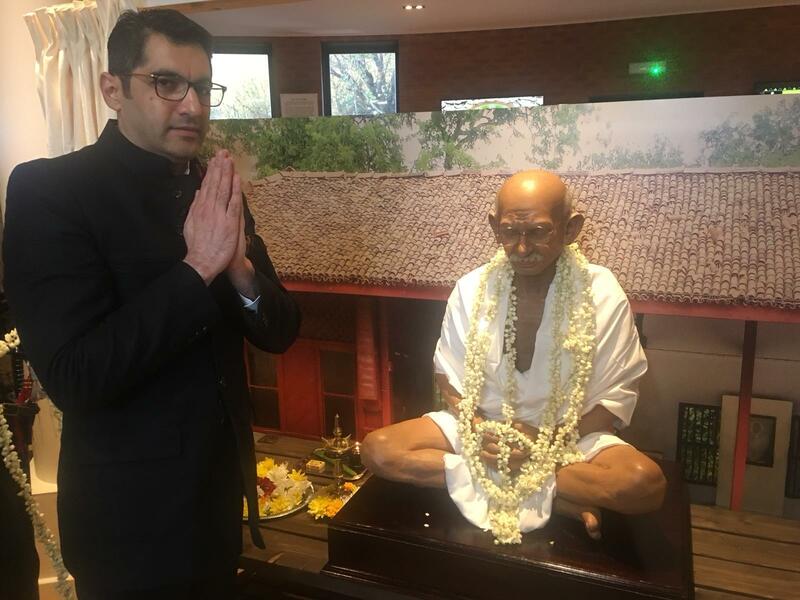 Consul General of India, Dr. Aman Puri unveiled the plaque for Gandhi Peace Centre, and Mayor Andy Street unveiled the statue of Mahatma Gandhi during the well attended opening ceremony. The event which was on the eve of the UK Inter-Faith Week, and World Science Day for Peace & Development was attended by more than 300 persons, including prominent dignitaries in Midlands namely Chairman of Balaji Temple Trust Dr. Kanagaratnam, Mayor of Sandwell Cllr Joy Edis, Vice Lord Lieutenant, Deputy Lord Lieutenant Prof. Gatrad Lord Bhikhu Parekh, Lord Popat, Mayor of Telford and Wrekin Rajash Mehta, Baroness Sandip Verma, Deputy Lieutenant Gurpreet Bhatia and Mr. H.S. 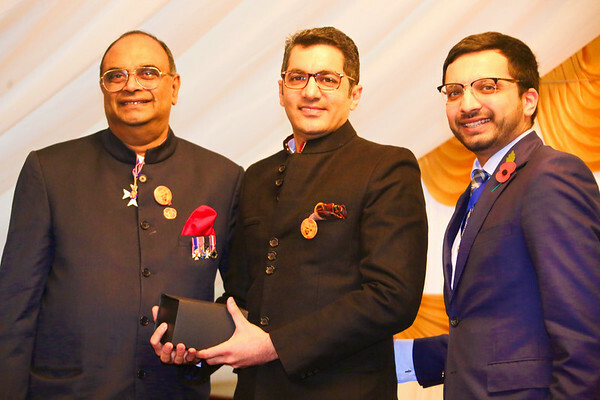 Bhatia, Chairman, Sandwell Confederation of Indians. 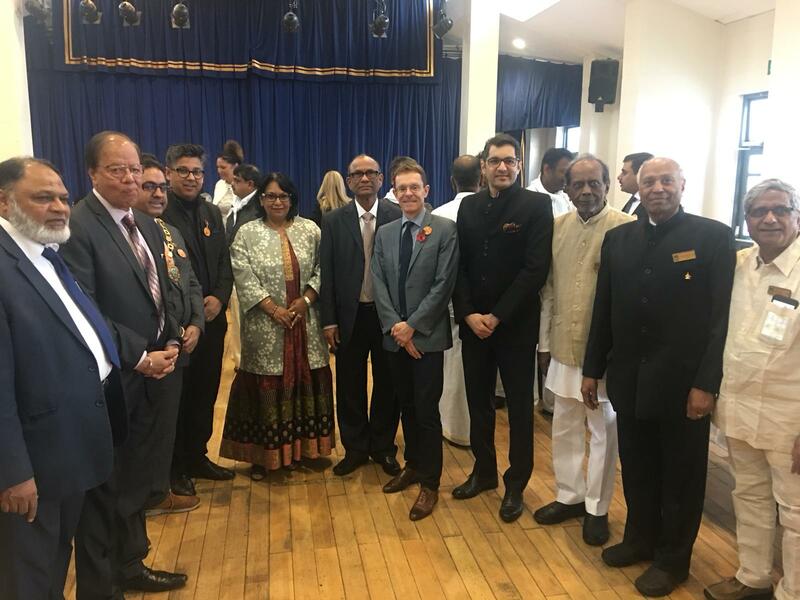 Minister (Coordination), High Commission of India, London Mr. A.S. Rajan shared his views on relevance of Gandhiji’s message in the contemporary world with the attendees. 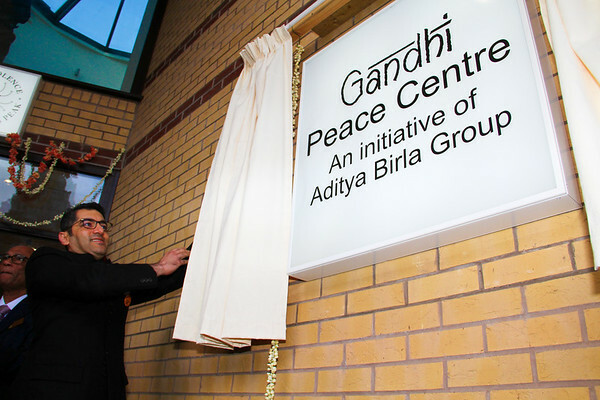 He lauded the efforts of Balaji Trust and Aditya Birla Group for setting up the Peace Centre, and hoped that it will be able to carry the message of Mahatma Gandhi far and wide. 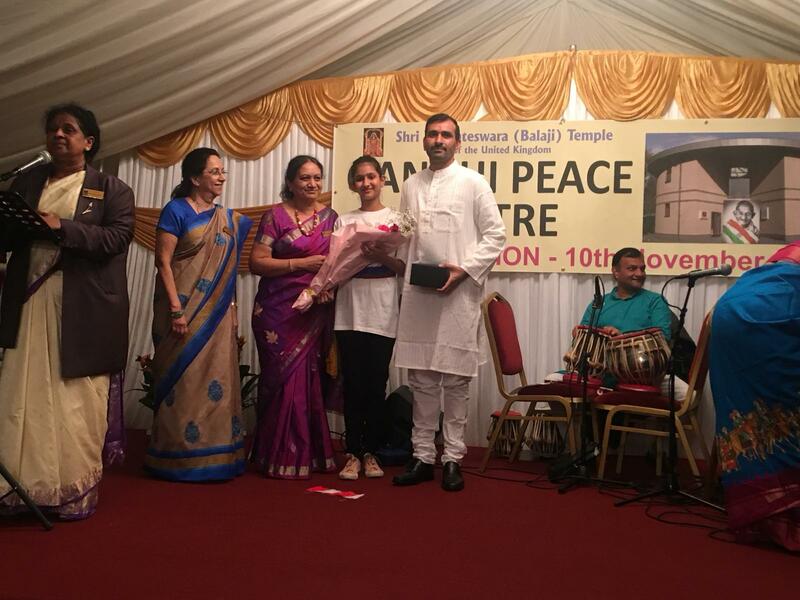 After the visitors surveyed the collections of Gandhi Peace centre, they were treated to a cultural extravaganza, consisting of Bhajans sung by Ms. Mayaben interspersed with yoga meditation sessions by Teacher of Indian Culture at the Consulate General of India, Mr. Dheeraj Joshi. 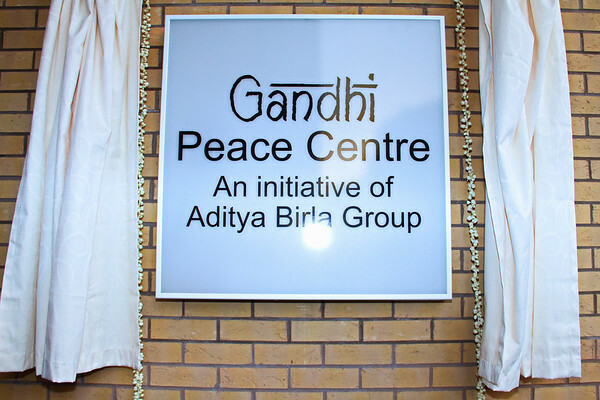 The Gandhi Peace Centre features a permanent exhibition on Gandhi ji’s life and his messages which are displayed via interactive exhibits, video clips and rare photographs. It also includes Yoga and meditation teaching resources and a library. The centre has facilities for meetings, seminars and other such events, which can be utilised to spread the message of peace and non-violence, and also to foster diverse community interactions. 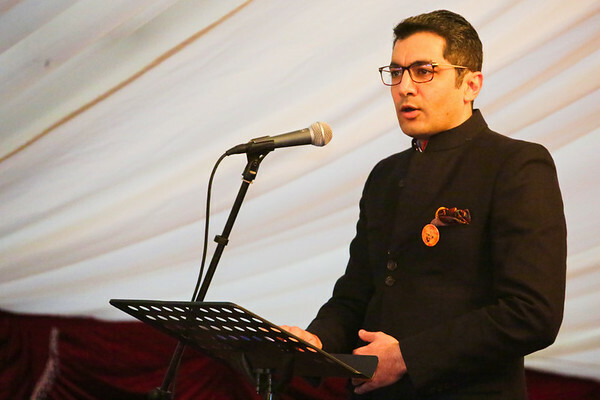 Consul General Aman Puri while addressing the gathering expressed his deep satisfaction that the Gandhi Peace Centre, situated in the heart of United Kingdom, would now be spreading Gandhiji’s message of Truth and Non-violence, which is as relevant today as ever before. 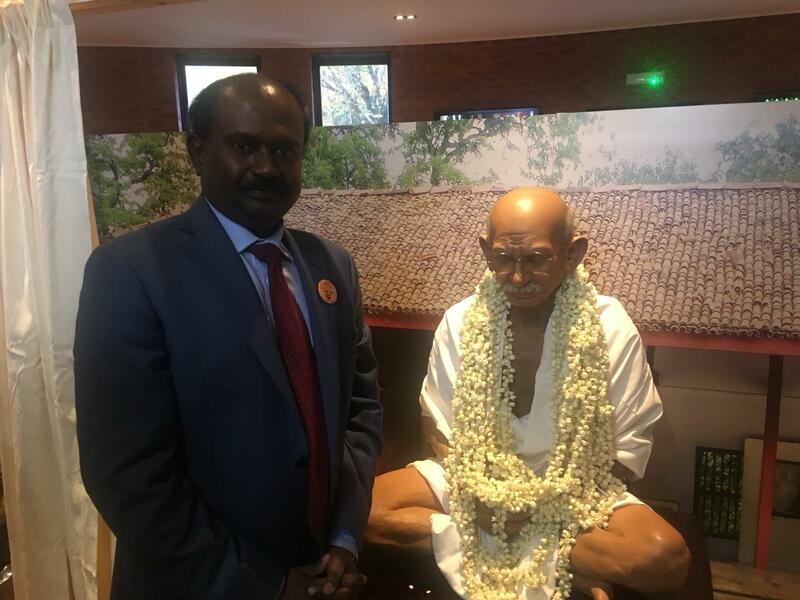 He hoped that Mahatma Gandhi’s legacy, which belongs to humanity, will be shared with young minds in the United Kingdom, for them to be inspired to lead a righteous life, and to make a positive contribution in making the world a better place. Shri Venkateswara (Balaji) Temple complex which is the largest Hindu temple of Europe attracts more than 500,000 visitors a year from not just around the UK, but from far and wide. Additionally, the seven Faith Hills in the premises symbolise the seven major faiths echoing Mahatma Gandhi’s message-”For me, the different religions are beautiful flowers from the same garden”. 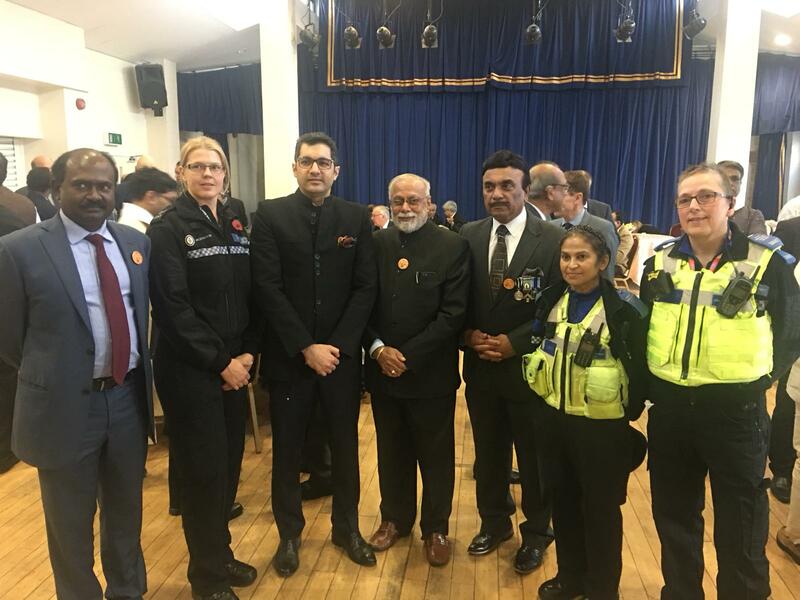 The Gandhi Peace Centre is likely to become the most significant platform in Midlands for work towards community cohesion and inclusivity.